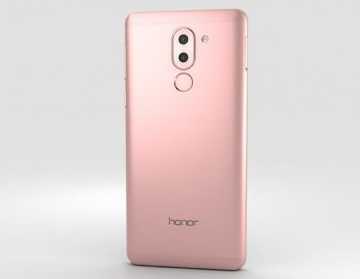 //	Huawei Honor 6X is Getting Android 7.0 Nougat OTA in the U.S.
Huawei Honor 6X is Getting Android 7.0 Nougat OTA in the U.S.
About two months ago, the Huawei Honor 6X started receiving the update to Android 7.0 Nougat in the U.S., but this was only happening via the phone’s beta channel. Now, in a proof that the OEM kept its word, stateside users of the Honor 6X are now reporting that the budget phone is receiving Android 7.0 Nougat update over the air. This is no longer the beta version, rather, it’s the stable version of the OS. The Huawei Honor 6X gets the Nougat treat seven months following its October 2016 launch. Back then, the device came preinstalled with Android Marshmallow, yet the new Nougat OS had already been released. By the time the phone hit the American market, which happened in early 2017, Nougat had already shipped on a number of devices out of the box, including the HTC Bolt, LG V20 and Google Pixel phones. But being a budget phone priced at just $250, it could be forgiven for coming in with Android Marshmallow. Huawei promised to start rolling out the update to Android 7.0 Nougat before the end of the H1 2017. Well, it’s happening and so far, a number of Honor 6X devices have already been updated to the new OS, which also brings the updated EMUI 5 skin. In a statement to Android Central, the Chinese OEM did not confirm how huge this Nougat update for the Huawei Honor 6X is, but given that it comes with a full OS, you can expect a fairly large package. With this in mind, you’ll likely need to connect the phone to the internet via a Wi-Fi hotspot in order to avoid additional charges from your carrier. Since the update is rolling out over the air, not all Honor 6X users will receive the Nougat treat at once. In fact, it could take up to the entire month before all units are actually updated. You can also try forcing the update by heading to Settings>About phone>System updates>Check for updates. But do make sure that your phone’s battery is at least 50% charged or keep it connected to a power source while doing the upgrade.